This Halloween, you don't have to plan your devil ensemble for ages. With these red wings, any outfit will look likes it's from the deep mouth of hell. But, like, in a cute way. You see, there are all sorts of wild styles coming out of fire and brimstone. Some devils rock the red catsuits while other try to blend in by wearing a black business ensemble. There are shiny latex ensembles, black lace, and let's not forget the velvet. As long as you have these wicked looking wings and they are paired with some wild pointy horns and a dangerous looking staff people will know where you're coming from. These red wings are a rich red with printed wings with an illustrated look. They have a leathery finish and can be paired with many different ensembles. Just strap them on and watch your wicked side come out. Think you can't pull off a hellacious look? Think again. You'll rock the caverns of the netherworld if you really want to. 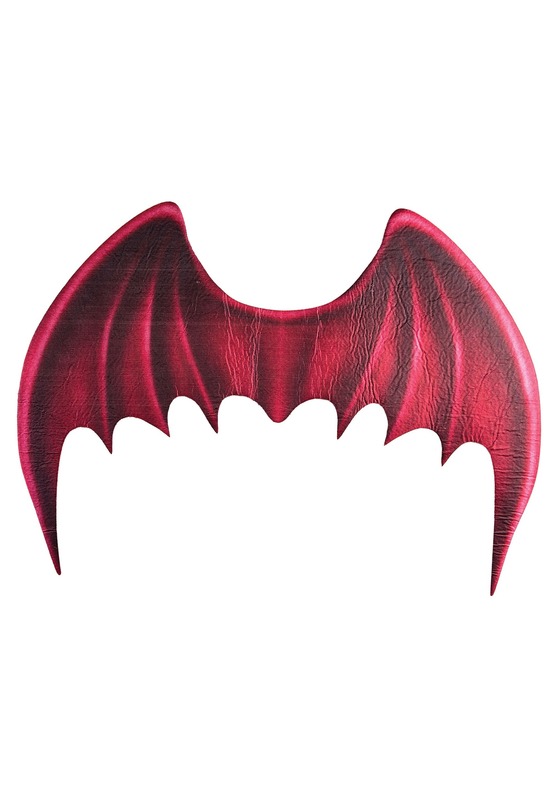 Whether your style is all about pointy beards and widows peak or shiny black jumsuits with elbow length gloves, these wings will support your spook appeal. After all, spook is the number one factor when it comes to getting the Lucifer look!